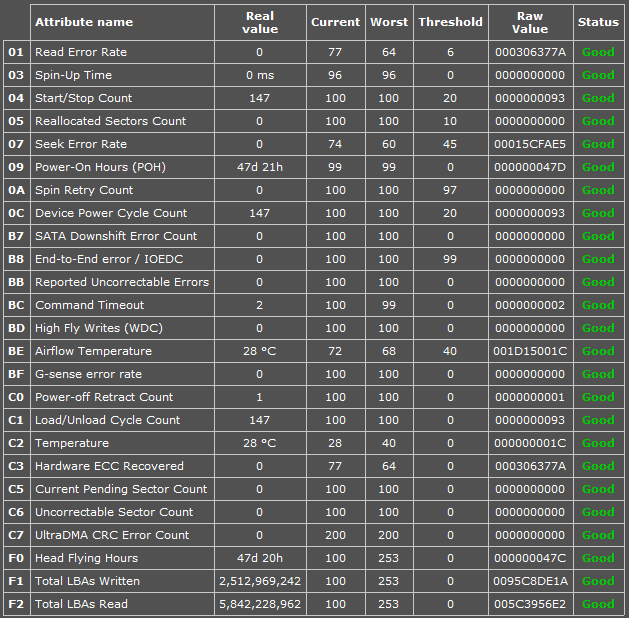 Hi, yesterday I found out that for some reason my Seagate ST4000DM004-2CV104 Hard Drive has very slow write speeds. But for some reason only write speeds. Read speeds are fine. Ran several diagnostic tools like SeaTools and Information software like CrystalDiskInfo which didn't say anything strange. Plugged my HDD into a different SATA port. Checked for Programs that take up a lot of disk usage. I don't know what to do because everything says its fine, but it's obviously not. Which BIOS are you on for your motherboard, at the moment? What is the make and model of your PSU and how old is it? You might also want to state which OS you're on(and which version)?